the loafer, usually a young man, who walks the streets with no great urgency, seeing, looking, reflecting. In French it’s spelt like this: flâneur, though not if you’re writing in English. Wood also uses the great phrases ‘porous scout’ and ‘Noah’s dove’ to describe this authorial stand-in. We know this type from Baudelaire, from the all-seeing narrator of Rilke’s autobiographical novel The Notebooks of Malte Laurids Briggs, and from Walter Benjamin’s writings about Baudelaire. The flaneur hangs around cities. There’s not so much for him to do in the country. You won’t find Jane Austen’s characters wandering around aimlessly. But these guys aren’t actually aimless: they wander around with the purpose of deconstructing social life in order to form a critique. The flaneur is a wandering narrator who is at once an outsider and native to a particular urban environment. Although Tribunella published that paper in 2010, he cites examples from the Second Golden Age of children’s literature, which started after WW2 and ended around 1970. Do modern young audiences have any time for the flaneur? When it comes to picture books, there is a subcategory designed to take the reader through a city, as an armchair tourist. Some critics have said that this is the picturebook version of the flaneur, in which the reader is the flaneur, not necessarily a character inside the story. Again, look out for American picture books, particularly those set in New York or Los Angeles. In modern teen fiction, consider the mall instead of the city as a place where young flaneur hang out. In stories where teens hang out in malls — and often in real life too — teens are not welcome. The mall has the feeling of a safe, cloistered space and mall designers go out of their way to make shoppers feel as comfortable as if they were at home: modern malls are carpeted and warm and play calming music. Comfortable big furniture is provided as islands of refuge. Yet when teenagers congregate in malls they are not genuinely welcome unless they happen to have the disposable income of adults. Therefore, the mall in young adult literature is a setting which functions as a symbol of teenage-hood itself: that liminal space between childhood and adulthood. Some critics describe the ‘postmodern flaneur’. For example in Weetzie-Bat (1989), the debut punk-rock fairytale novel by Francesca Lia Block, we have a narrator who is both part of her urban environment but also narrates as if she’s an outsider. By this interpretation, the flaneur in children’s literature is unlikely to go away, since the entire category of YA makes heavy use of that feeling of being an outsider trying to find your place. Is there anything more satisfying than a fictional literary map? Sometimes these maps are designed by the illustrators. Other maps are done by unsung heroes called book designers, whose names are left off the front cover and publicity material. Making a map of a fantastic world is also a favourite thing to do in fan fic, and some fan fiction maps are truly amazing. Some maps are even done by the authors, even if the authors aren’t otherwise illustrators. Sometimes the sketch of an author’s map goes public after a book takes off, as in the case of J.K. Rowling’s map of Hogwarts. Some of them are from an oblique bird’s eye angle, others are decorated emulations of ye olde worlde maps. Some seem to be to scale while others are designed to give readers the general idea. Since a lot of these maps appear in novels for which there is no budget for coloured illustration, black and white maps need to look great. For much more on this topic see The Art of Illustrated Maps by John Roman. 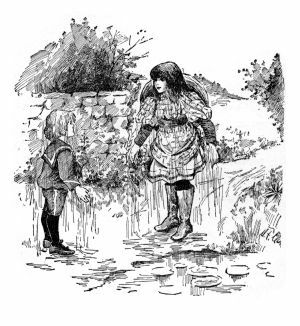 Some of the oldest tales about miniature creatures living in oversized land come from fairytales: Thumbelina and Tom Thumb are the first that come to mind. 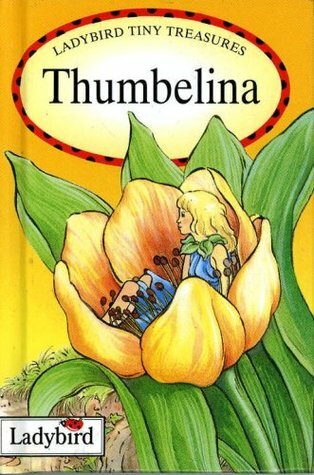 My method was mostly metaphorical: what if Thumbelina wasn’t actually small, she just felt small? — Emma Donoghue, explaining how when rewriting fairytales she took tales from the oral tradition and simply considered them in metaphorical terms. A useful term here is ‘homunculus‘, which means a very small person. The plural is homunculi. This was originally a medical term which comes from alchemy. By the nineteenth century we knew a bit more about how humans come about, so now the homunculus was a fictional character. WHY DO STORYTELLERS LOVE MINIATURE WORLDS? 1. Animals are magical. See folklore and fairy tales. They take over human identities with their magic. 3. Guilt. Animals in stories are there to show us all our human weakness, and also how animals should properly be treated. (Anna Sewell’s Black Beauty, Sarah Trimmer’s religious stories (1782-1819). Other writers such as George Orwell use them as pawns in satire (Animal Farm). Other writers allow animals to retaliate against humans who have treated them badly (Daphne Du Maurier’s The Birds, The Chronicles of Narnia). Animal stories rose as religious stories declined in popularity. Fables go way back, of course. But when it comes to published work, the advent of animals in literature, it all started happening from the mid 1700s. Black Beauty started a trend. What Was Your Mother’s Favourite Childhood Book? This was my own mother’s favourite series of picturebooks when she was very young, and she has a hardback copy held together with yellowed sticky tape. 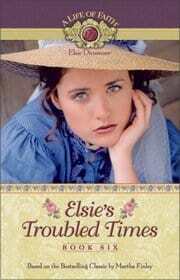 This one before me is a much later version, which has come out since in soft cover. I wonder if fairies will make a true comeback. The illustrations in this book are marvelous. Like many fairy books of its time, the world Pookie inhabits is magical, with woodland creatures living happily in treetrunks, and magical little creatures in mushrooms. It reminds me of the illustrations in The Magic Faraway tree, which was brought to life in colour by Georgina Hargreaves. The language is Blyton-esque, with character names such as ‘Nommy-Nee’ and ‘Primrose-Dell’, in a world where you’re likely to run into a ‘pie-man’ who easily loses his temper because you don’t have any money. Like Blyton, Wallace makes use of popular rhymes and older fairytales. Ivy Wallace was also no doubt influenced by Beatrix Potter. “Mother rabbit said Pookie was more trouble to her than Wiggletail, Swifflekinds, Twinkletoes, Brighteyes, Tomasina, Bobasina and Weeny-One all put together!” At one point Pookie meets a man who would like to turn him into a pie. It’s easy to forget that until Beatrix Potter, animals hadn’t really been personified in picturebooks. She started a trend which only now is starting to wane a little bit. Talking animals dressed in clothes are no longer novel in themselves. As for the story of Pookie, I’m not sure it holds up so well for modern children. I think ideally it would benefit from fewer words to go with those stunning pictures. I wonder if post-war children were still interested in fairies at a slightly older age, when they could cope with all of those words, or if post-war children had longer attention spans due to an absence of television. Maybe both. Pookie is a rabbit fairy: two cute things in one. He sets out to ‘seek his fortune’ even though he has no idea what a fortune looks like. Along the way he learns that ‘fortune’ means different things to different people. He is eventually taken in by a very kind human-looking girl called Belinda who exclaims, ‘Why, his tiny heart is broken!” She then mends him with a kiss and Pookie knows that he has found his fortune. And with lines such as, “Oh, Pookie, look at your wings now! All they needed was Love, Pookie! Look at them now!” this story is just a little bit twee for modern tastes. Or maybe just for my tastes. But I see why my little-girl-mum would have liked it.